DALLAS, TEXAS – Global Wealth Advisors has partnered with Nickel from Nicole, a Plano non-profit, to assemble “Nickel Cards” which will be sent to school districts around Texas to help remind student drivers to be safe. The volunteer event has been scheduled for Saturday, April 7th from 9:00 a.m. until noon at the Global Wealth Advisors (GWA) office. During this event, volunteers will be divided into breakout groups that will perform different tasks required in assembling the “Nickel Cards”. When completed, these cards will be sent to various school districts, and academic groups who have requested them to start, or compliment a safe driving awareness campaign. Commonwealth Cares is a 501(c)(3) charity operated and administered through Commonwealth Financial Network®. 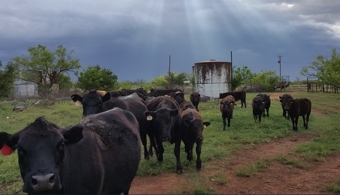 Commonwealth Cares provides contributions of time, talent, and financial support to a wide range of philanthropic efforts aimed at relieving human suffering, promoting social and economic growth, and sustaining and protecting our planet’s resources. About Global Wealth Advisors: Founded in 2008, GWA is a premier financial advisory firm offering boutique wealth management. 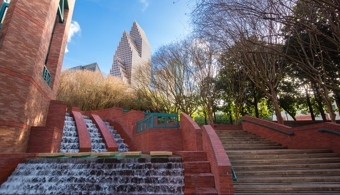 Headquartered in Dallas, Texas, with branch offices in Houston, Sweeny and Snyder, Texas, the GWA team has developed and refined a process to help clients retire when they want to, or get to a “work-optional” lifestyle, through a unique planning and wealth management process: The 3P Approach. For more information, visit www.gwadvisors.net. Kevin and his wife Courtney ’09 are the parents of sons Declan and Conrad. 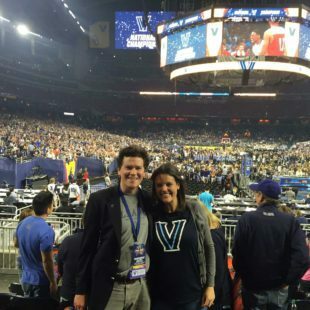 About Villanova University: Since 1842, Villanova University’s Augustinian Catholic intellectual tradition has been the cornerstone of an academic community in which students learn to think critically, act compassionately and succeed while serving others. Ranked among the nation’s top universities, Villanova supports its students’ intellectual growth and prepares them to become ethical leaders who create positive change everywhere life takes them. For more, visit www.villanova.edu. DALLAS, TEXAS – Global Wealth Advisors (GWA) announces their nomination in the November 2017 D Magazine’s “Best Of” edition, as one of the top wealth managers for 2017. 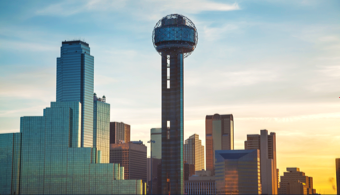 According to GWA President Kris Maksimovich, “Our team is honored to have been selected by D Magazine as one of Dallas’ top wealth management firms for the 3rd year in a row. It’s humbling to be recognized for providing a service to our clients that helps them plan for and achieve that which they care about most.” GWA has been named by D Magazine as a top wealth manager in DFW since 2015. To be considered for the list, firms must have minimum AUM of $50 million and a per client average AUM of $750K; a client retention rate of 93% for the last two years; no current disciplinary actions; at least five years of experience; and, they must hold themselves out as a fiduciary when managing their clients’ assets. For 2017, 50 firms were up for consideration and 25 were named to the list (or 50% of nominated firms). 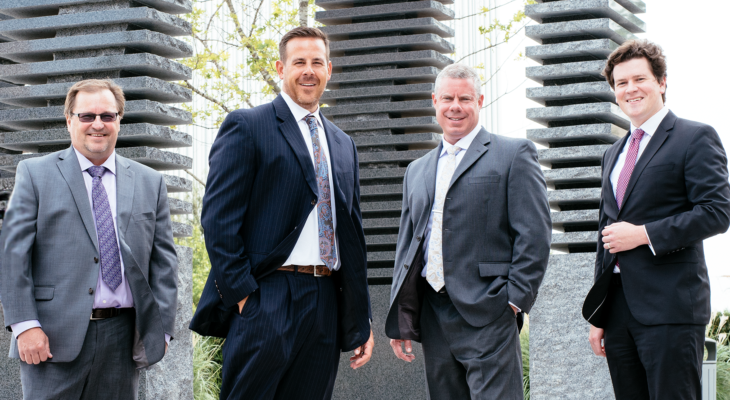 Founded in 2008, GWA is a financial advisory firm offering boutique wealth management and financial planning. Headquartered in Dallas, Texas, with branch offices in Corsicana, Houston and Snyder, Texas, the GWA team has developed and refined a process to help clients retire when they want to, or get to a “work-optional” lifestyle, through a unique planning and wealth management process called the 3P Approach. 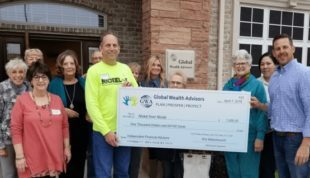 DALLAS, TEXAS – Global Wealth Advisors (GWA) announces its commitment to giving back to the communities in which they serve, as they partnered with the Cystic Fibrosis Foundation in their 2017 Chicago Title Dallas Wine Opener fundraising efforts. According to GWA President Kris Maksimovich, “We are excited at the prospect of continuing to help CFF in their fundraising efforts by adding a link on our website to their donation page.” This donation link will be active through the end of the year. Since 1955 the Cystic Fibrosis Foundation has been leading the search for a cure. Nearly every drug on the market for Cystic Fibrosis is a result of their financial support and funding to biotechnology and pharmaceutical research to speed the development of new treatments. According to Development Director Charles Colmark, “The story of cystic fibrosis is probably the most exciting medical story of our lifetime. The work of the last 30 years has led to an average life expectancy that went from before kindergarten to the 40s. Now doctors and researchers believe life expectancy will soon be into the 70s. 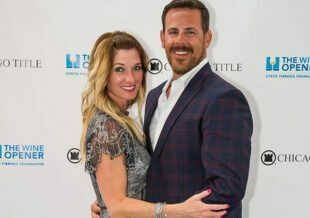 This story wouldn’t be a reality without the support of benevolent individuals and companies like Global Wealth Advisors who want to see their investments make a lasting difference”. Founded in 2008, GWA is a premier financial advisory firm offering boutique wealth management. Headquartered in Dallas, Texas, with branch offices in Corsicana, Houston and Snyder, Texas, the GWA team has developed and refined a process to help clients retire when they want to, or get to a “work-optional” lifestyle, through a unique planning and wealth management process: The 3P Approach.